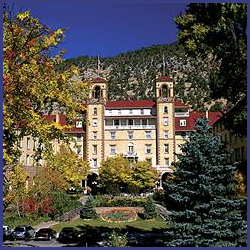 Discover savings on the historic Hotel Colorado in Glenwood Springs Colorado. Book early to receive the best available pricing and great lodging for Hotel Colorado and deals or visit this link to find Hotel Colorado Discounts. Hotel Colorado has premium spa services and amenities, and is located adjacent to the world famous Glenwood Hot Springs and Yampah Spa/Vapor Caves. Year round, this is one of Colorado’s premier hotel lodging properties – book your vacation today and enjoy all the wonderful activities Glenwood Springs, Colorado has to offer.